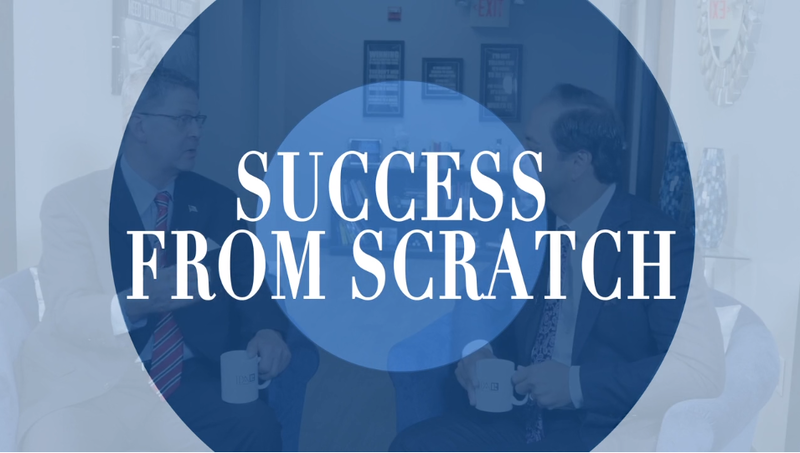 In this week’s episode, Howard Ashkinos shares how his passion for helping others got him into real estate and now, as the Vice President for National Franchising at JP and Associates REALTORS®. JP and I are pleased to announce continued investments in our brokerage with the addition of the “Business Development Manager” roles at JPAR. The Business Development Manager role will be accountable in their assigned territories for leading the culture, recruitment, and operations of JP and Associates company-owned offices. They will be focused on talent attraction & recruitment, coordinating monthly networking events, encouraging weekly mastermind groups inside each office and developing our vetted partner network that serve your office locations. We are excited and proud to welcome this team. Kandi Pound is the Business Development Manager for JP and Associates REALTORS® in Tarrant, Johnson and Parker Counties. She is a leader with a diverse background including business ownership, working in the legal industry and serving various charity organizations. Kandi believes that people are the key to a company’s success. She strives to hire agents that are looking to take their real estate business to the next level using JPAR’s unique business model and culture. Additionally, Kandi is excited for the opportunity to work with the many JPAR corporate partners and preferred vendors to continue those relationships and cultivate new ones for mutual growth. Kandi is also a licensed Texas Realtor serving clients in the DFW Metroplex. She is an Arlington, TX native who enjoys traveling with her family, TCU sporting events and watching her daughter grow. Samantha L. Willey will be responsible for the Dallas and Rockwall Counties. She was born and raised in East Texas. Her passions include Real Estate, her team-mates and helping others to be successful. Samantha started her Real Estate career in 2012, she and her business partner Tiphannie W. Clements have grown the team W Lux Properties Group and have quickly become one of the top producing teams in East Texas. She volunteers a lot of her time to teaching new agents on how to be successful in their real estate careers, and how to grow as professionals. She takes pride in her business, business relationships, and her family. Michele serves the San Antonio market. She moved to San Antonio in 2004 with the Air Force and retired from active duty in 2016. She has an extensive background with over 20 years’ experience in Recruiting, HR Management and Development. Michele has a professional certification in Project Management and a degree in Human Resource Management. Her experience in recruiting and training coincides with her passion for people and cultivating relationships. She is a natural at seeking out resources and finding out what others need and want. Michele focuses on servant leadership and integrates this into her everyday life. She is a member of the Junior League of San Antonio and volunteers with numerous nonprofit charities. Michele embodies integrity, service, and energy. She prides herself on her strong work ethics and commitment to exceed expectations of the agents and business partners in the San Antonio community. Mike Pritchard will drive our growth in Austin TX. He began his sales career nearly 25 years ago while working in the Telecom Industry before making the transition to Real Estate. With nearly 15 years of Real Estate experience, Mike has had a multi-faceted career specializing in new home construction, home renovation, and residential resale. Mike has spent that last 7 years of his career helping real estate professionals build highly successful careers. He is an accomplished trainer and mentor having coached and trained over 200 Real Estate professionals in the Austin and Dallas Markets. Mike focuses on helping agents master their craft in an extremely competitive marketplace by using innovative real estate sales and marketing techniques while employing cutting-edge technology allowing agents to build lifelong relationships with their clients. Mike is passionate about helping Real Estate Professionals find an organization in which they can truly succeed. By partnering with JP and Associates Realtors, Mike has found the perfect team to help agents experience exponential growth. Mike is a Texas native, born and raised in Austin. When not working, Mike enjoys spending time on the water with his two children Finn and Lilly along his partner Jen.